Crysis 2 not only looks better on PC, but the PlayStation 3 and Xbox versions 'looked impossible' at points of the development cycle, according to Crytek CEO Cervat Yerli. In a fascinating interview on CVG, Yerli explained that, just as the original Crysis became the benchmark for gaming PCs everywhere, the second will indeed be at its best on the PC. 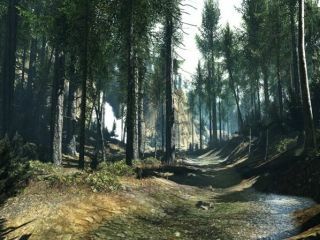 However, despite moments when it looked difficult to bring the game's trademark top quality visuals to the current generation of consoles, Crytek are delighted with all three versions. "So we were looking at every high-end feature and said, how can we bring this to console? I said to our technology guys, we have no choice. It has to come," said Yerli. "How do we do it? Instead of telling me which ones you can and can't do, whenever it looked impossible, I said find another solution. "So that forced a lot of optimisation and rethinking. Ultimately, that made for an even better PC title." With PC gaming still battling to remain a player against the consoles, and not just in the realms of MMOs, real time strategies and professional gaming, Crytek is hoping Crysis 2 could be a fierce weapon. "PC is the best looking version, yeah," added Yerli. "But if I had shown it on PC, it would have been like... okay, Crysis 2 is on console, but they're not showing the console version. So we wanted to go with console."